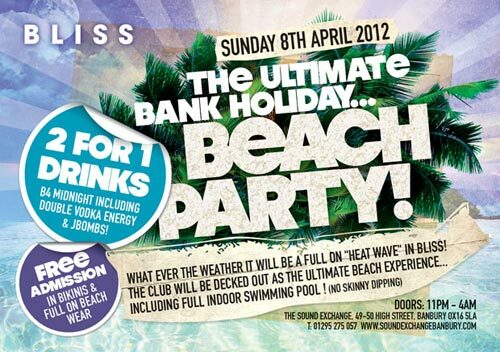 A6 flyer design for a bank holiday beach party at Bliss, a mainstream destination venue in Banbury. Posted on 20/03/2012 by admin. This entry was posted in Flyer Design. Bookmark the permalink.